Tort reform: yes or no? Most regular people, once they understand the issues, know that they are the ones that will suffer the consequences if the proposed changes become law. It is important that every person who understands what is being attempted in these reforms takes the time to add their voice to the fight. You may feel that there is “nothing you can do about it,” but this is far from the truth. Our legislators listen when we contact them, and one letter or email can help to influence your representative or senator in the state legislature to do the right thing. Tort reform is changing the laws regarding civil cases. 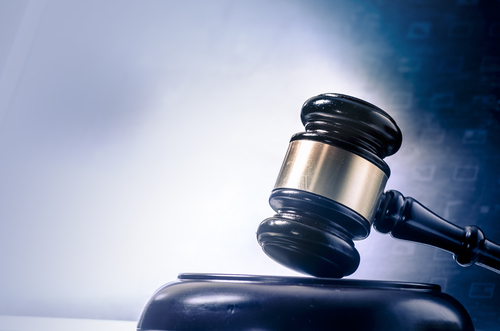 Injury lawsuits are filed in civil court, and reforms will impact the ability to recover certain types of damages – particularly those paid for pain and suffering. Tort reform will make it more difficult for an injured person to file suit against a negligent party. This will not be an advantage for a person who has been injured by an act of negligence. Tort reform will also affect the ability to get a jury trial in civil court. Civil juries often award large sums to an injured person, and this change could make the awards paid to victims far lower. Tort reform could limit the amount paid in “punitive damages.” This is money paid to a victim in order to punish the responsible party(ies). These are most often cases in which a company was aware a product was dangerous, hid the facts, and continued to allow it onto the market, endangering the public. Cases of medical malpractice will have limits placed on jury awards for pain and suffering. Proponents of reform assert that the high awards for malpractice have put medical professionals in the position of being forced to practice “defensive medicine,” and that capping compensation limits would reduce the cost of healthcare. Unfortunately, this argument hasn’t proved to be true in the real world. In states in which these caps exist, health care costs to the consumer have continued to rise. Even so, this argument continues to be floated, and the medical profession has an exceptionally powerful lobby. Do you want your voice to be heard on this critical issue? You can. Here are some simple ways you can take action, and a letter, call or email could make more difference than you know. Write a letter to your state representative and senator. Your opinion can influence your representative or senator. You can find your state representative easily at Open States. Once you have the name and address, send a written letter, as well as an email message urging lawmakers in your state to make the right decision on this critical issue. Your state legislator will record your message. Write down what you want to say before you call, so you are brief, clear and concise in your communication – your opinion will be more likely to be heard. The governor has the right to veto bills. Ensure you also write to your governor so he or she knows what you, as a member of the general public, feel about tort reform and its impact upon your right to get justice in a case of injury.